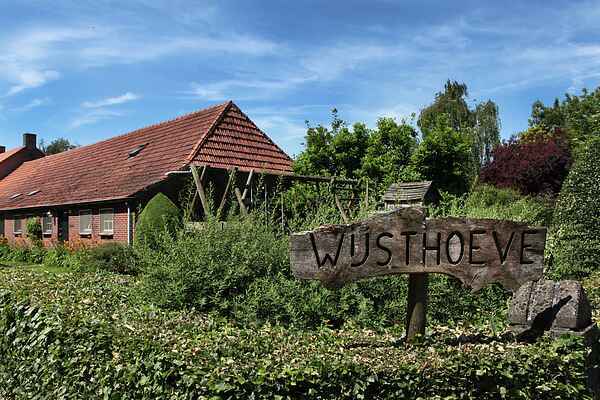 Situated at the edge of a typical Brabant village, this completely renovated back part of a farm (200 m2). There are 24 bicycles (of which 10 for children) and 5 cross-bikes for hire. This house in a wooded area (boarder on the natural park ~"De Maashorst", with heat, fens and sanddrifts) is very suited for children. A child`s farm is 2 km away. The surroundings offer beautiful hiking- and cycling tours (also suitable for mountainbikers). This farm in operation (milkcows) is not only for children a favourite holidayplace, but also most of the grown-ups like it to see a little cow is born and helping a hand with the work on the farm. You can rent this holiday home together with NL-5406-06 for max. 24 persons. Pets forbidden in bedrooms.Should this rule be broken, extra cleaning costs will be charged. In one of the bedrooms on the ground floor you'll find a chest of drawers. Also present: child's bed, campingbed, playpen, 2x child's chair, table football, dartsgame, 2x type of cart, 4x go-kart, 4x tricycle, 5x tractor for children, swing and boules.